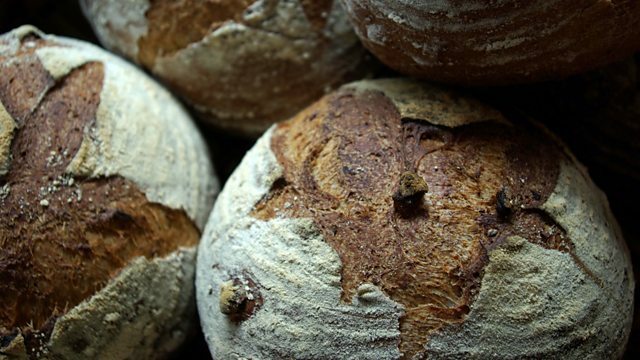 Most British bread is highly processed and packed with additives, but all over the country enthusiastic bakers are working to bring back 'real' artisan bread. Sheila Dillon reports. Sheila Dillon celebrates the rise of real bread. The majority of Britain's bread is highly processed, packed with additives and often made with cost, rather than quality, in mind. But countless bakers, amateur and professional, are fighting back. Sheila finds out about some of the new ventures that are making artisan bread more widely available, and at a competitive price. Reporter Gerard Baker visits the Handmade Bakery in West Yorkshire, a community-supported bakery with dozens of local subscribers. Sheila also hears about St Mary's Bakery in Frensham in Surrey, where Richard Dean started his venture by offering his bread to the neighbours. Sunday Telegraph food columnist Bee Wilson explains what happened to bakers in the Middle Ages when their bread was not up to scratch. In the studio, food writer Rose Prince launches her idea for extending breadmaking skills to the young as well as encouraging more people to enjoy 'real' bread. Get in the Great British Bake Off spirit with this collection of programmes.